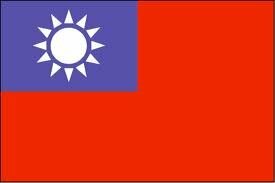 Despite being denied UN recognition continuously, Taiwan submitted a report under the International Covenant on Civil and Political Rights and International Covenant on Economic, Social and Cultural Rights. President Ma Ying-jeou unveiled the English version of the ROC’s first national human rights report Dec. 18, describing the event as a milestone in the creation of a just society in Taiwan that respects the freedoms and liberties of the citizenry. Ma, who made the remarks during a ceremony at the ROC Ministry of Foreign Affairs in Taipei City, said the report—the first under the U.N.’s International Covenant on Civil and Political Rights and International Covenant on Economic, Social and Cultural Rights—is testament to the dawning of a new era in human rights for the ROC. “Although we are no longer a member of the United Nations, this does not mean we have turned our back on the organization’s principles. We still cherish the U.N. spirit and this is reflected in our ongoing efforts to ensure the country’s laws are in line with global practice. Prepared by a team of legal experts reporting to the Presidential Office Human Rights Consultative Committee, the three-part report documents Taiwan’s human rights practices, including access to affordable education, freedom of speech, gender equality measures and protection of property rights. The report sets out the progress Taiwan has made in amending its laws to make them compatible with the covenants. Ratified in 1966 by the U.N. General Assembly, the covenants are part of the International Bill of Rights and each has over 160 signatories worldwide. Since taking office in May 2008, the government has worked tirelessly to incorporate the covenants into law. On May 14, 2009, they were ratified by Ma and entered into force Dec. 10 the same year, according to the MOFA. The president said that while the reports illustrate the government’s desire to promote Taiwan as a beacon of democracy to the world, this cannot be reached without first being widely accepted on the domestic front.